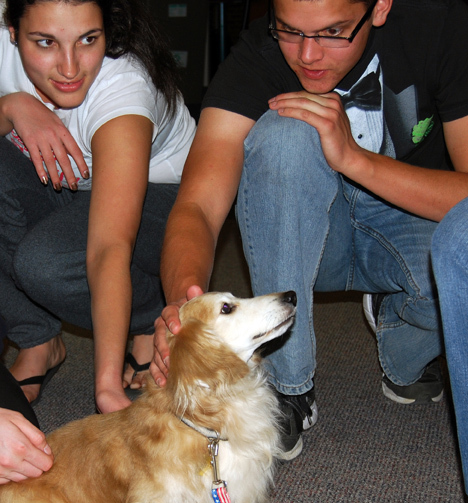 In what has become a tradition here at the Homer Babbidge Library, the Paws to Relax program will return for fall semester finals on Monday, December 9th. 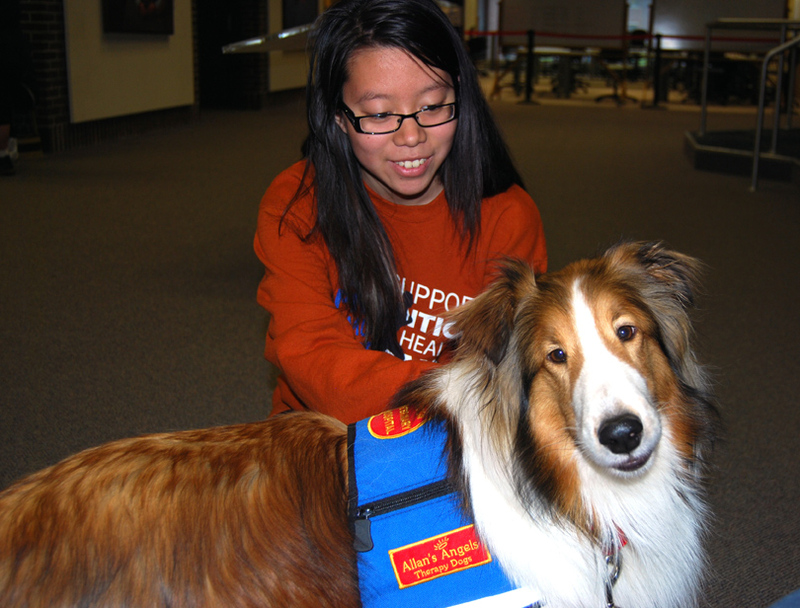 The Paws to Relax program allowed students to interact with therapy dogs brought to campus in an effort to curb stress levels. The program, in its fourth year, is bringing trained and certified animals from area organizations to the first floor of Homer Babbidge starting Monday and running through Friday. The schedule is below, and subject to slight changes so keep track here or on our Facebook page. 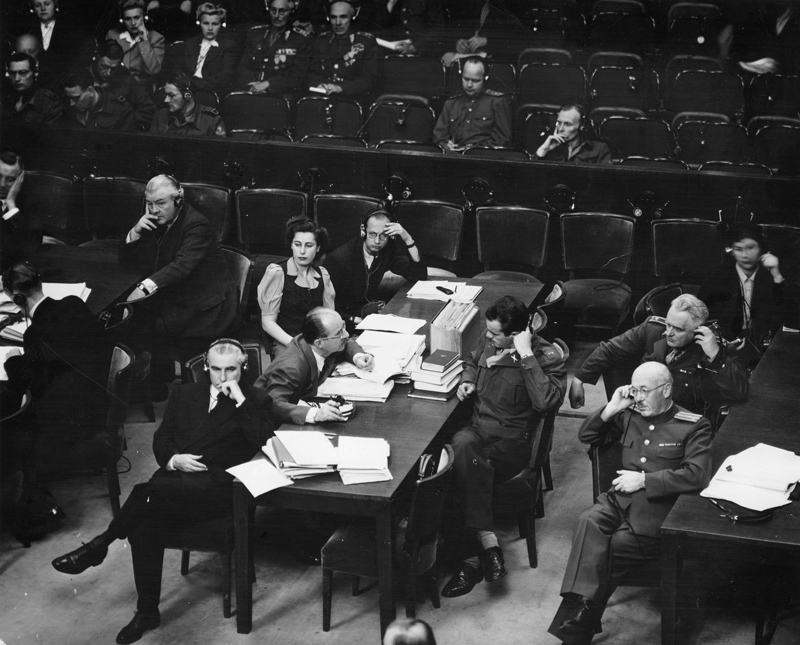 On November 20, 1945, twenty-four high-ranking Nazis went on trial in Nuremberg, Germany, for atrocities committed during World War II. The international military tribunals, now commonly referred to as the Nuremberg Trials, represented a critical moment in history, as the first time that the legal system would be used to recognize crimes against humanity. The Nuremberg Trials were conducted by representatives from the United States, the Soviet Union, France, and Great Britain. 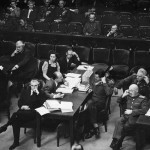 The defendants, who included Nazi Party officials and high-ranking military officers along with German industrialists, lawyers and doctors, were indicted on such charges as crimes against peace and crimes against humanity. After 13 trials lasting 10 months, 12 architects of Nazi policy were sentenced to death, seven were sentenced to prison terms ranging from 10 years to life, and three were acquitted. Of the original 24 defendants, one committed suicide while in prison, and another was deemed mentally and physically incompetent to stand trial. Nazi leader Adolf Hitler committed suicide and was never brought to trial. Thomas J. Dodd, who had previously held positions in the Federal Bureau of Investigation and the U.S. Justice Department as a Special Assistant to the Attorney General, was requested by the head of the American legal team, U.S. Supreme Court Justice Robert Jackson, to join the jurists assembling at Nuremberg. Much of his interest was due to Thomas Dodd’s success during World War II to uncover espionage and sabotage against the United States’ war effort. Dodd proved himself invaluable to Justice Jackson, and soon served as Vice-Chairman of the Review Board and Executive Trial Counsel. The latter position made Dodd the second ranking U.S. lawyer and supervisor of the day-to-day management of the U.S. prosecution team. He shaped many of the strategies and policies through which this unprecedented trial took place. Dodd presented portions of virtually every aspect of the prosecution’s case and his papers, which include his hand-annotated notes, were donated to the Archives & Special Collections by the Dodd family in 1994. The papers contain documentation that can be found nowhere else. While the official proceedings have been published, Dodd’s papers include, among many other things, hand-annotated drafts of trial briefs, annotated translations of German documents used by the prosecution team to develop the briefs, testimony from pre-trial questioning, and administrative documents pertaining to the conduct of the trial that illustrate how the prosecution carried out its case. There are approximately 50,000 pages of documents in the approximately 45 linear feet of the Thomas Dodd’s Nuremberg papers. It will take approximately two years to prepare and digitize this group of the records that comprise only a small portion of Dodd’s entire collection. 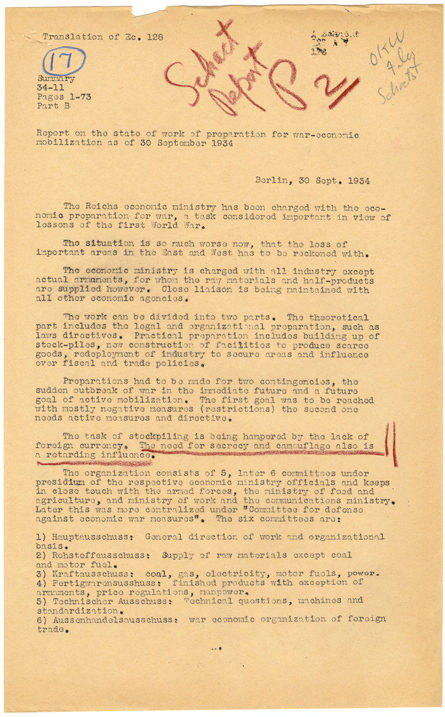 The papers were chosen for digitization due to not only the importance of the documents, but also the volume of requests the archives receives from around the country.